Draft: 2003, Kansas City Royals, 21st rd. Graduated from Angel P. Millan (Puerto Rico) High School and Indian Hills (Iowa) Community College...Is the cousin of former Major League infielder Luis Alicea...His brother, Melvin, was an infi elder in the Cardinals organization...Participated in the 2013 World Baseball Classic for Team Puerto Rico (9g, .125, 0hr, 0rbi)...Played for Puerto Rico in the 2010 Pan Am qualifying tournament in his home country...Was named Class-A High Desert's Player of the Year in 2006...Was named Class-A Burlington's Player of the Year in 2005. Signed as a free agent with Milwaukee on 12/4. Irving opened the year at Omaha (AAA) and had three separate stints with the Royals in his rookie season...His .341 average was the fourth-highest among Royals players in a season with at least 80 at bats...Made his big league debut on May 6 vs. Yankees and was 2-for-4, including tripling in the second inning off Phil Hughes for his first hit...became just the third Royal to triple in his first plate appearance, joining Brian McRae (8/7/90) and Edgar Caceres (6/9/95)...last Royal to pick up a hit in his first Major League plate appearance was Matt Tupman on May 18, 2008 vs. the Marlins...Recorded career-opening 9-game hitting streak from May 6-22, tied with Mike Kingery (1986) for the longest hitting streak to start a big league career as a Royal. Spent the entire season at Omaha (AAA) for the third straight year...played at least 17 games at second base,third base, shortstop and right field ... Tied his career high set in 2008 at NW Arkansas with a .301 batting average while tying for fourth in the PacificCoast League with 9 triples ... Switch hitter batted .339 (40-for-118) against left-handers and .285 (76-for-267) against right-handers. Spent the entire season at Omaha (AAA) for the second straight year...played mostly shortstop and secondbase...His 503 at bats ranked ninth in the Pacifi c Coast League...Played for his native Puerto Rico in the Pam American Qualifying Tournament in his home country...helpedPuerto Rico qualify for the 2011 Pan American Games in Mexico. Spent the entire season at Omaha (AAA)...played all over the field making appearances at second base, thirdbase, shortstop, right field and center field...Batted .337 (32-for-95) with runners in scoring position. Spent the entire season with the Northwest Arkansas Naturals of the Double-A Texas League...hit .301 (109-for-362) in 101 games, with five home runs, 42 RBIs, 11 stolen bases and 57 runs scored...ranked fourth in average among all Royals Minor Leaguers, and 10th in the Texas League...played all three outfield positions and all but first base on the infield, as well as DH and PH...hit .357 (20-for-56) vs. left-handers and .310 (58-for-187) on the road...overcame a sluggish April (.194, 7-for-36) and June swoon (.227, 15-for-66), surrounding them with a solid May (.300, 15-for-50) and spectacular July/Aug. (.343, 72-for-210)...hit in his first four games April 5-12...homered in back-to-back games June 17-18 vs. Tulsa...had 32 multi-hit games...hit in a season-high seven straight games for the first time July 25-31, going 15-for-26 (.577), with three doubles, one triple, two home runs, five RBIs and 10 runs scored, and ending the skein with five consecutive multi-hit games...again hit in seven straight games, Aug. 9-16, going 14-for-27 (.519), with two doubles, one triple, five RBIs and three runs scored, as he produced five more multi-hit efforts...hit in nine of his last 11 games, wrapping up with a 4-for-5 effort with a stolen base and two runs scored Aug. 31 vs. Tulsa...following the regular Minor League season, joined Indios de Mayaguez of the Puerto Rican Winter League and hit .259 (15-for-58) in 27 games, with one home run, three RBIs, seven stolen bases and six runs scored. Spent the entire season with the Wichita Wranglers of the Double-A Texas League...hit .242 (115-for-476) in 131 games, with one home run, 28 RBIs, six triples, 15 stolen bases and 46 runs scored...hit .301 (25-for-83) in May, but had an otherwise lackluster season...ranked third in the league in triples...had a season-high 13-game hitting streak May 16-30 (.395, 17-for-43)...homered and drove in a season-best three runs Aug. 5 at Arkansas...hit in nine straight games Aug. 1-10 without a multi-hit game...went 10-for-14 (.714) in four consecutive multi-hit games Aug. 23-25. Spent the entire season with the High Desert Mavericks of the Class A Advanced California League...hit .299 (159-for-531) in 126 games, with 23 doubles, seven triples, three home runs, 49 RBIs, 31 stolen bases and 87 runs scored...ranked fourth in the league in hits, and fifth in stolen bases and at-bats...named the High Desert Player of the Year...posted season highs with four hits and five RBIs June 15 vs. Rancho Cucamonga. Spent the majority of his first full-season year in pro ball with the Burlington Bees of the Class A Midwest League...hit .254 (113-for-445) in 119 games, with 20 doubles, five triples, one home run, 28 RBIs, 34 stolen bases and 71 runs scored...put together a Midwest League-best 24-game hitting streak June 7-July 6...was named Player of the Year at Burlington...appeared in six games with the Wichita Wranglers of the Double-A Texas League and hit .235, with two RBIs and a run scored. Spent the majority of the season with the (Rookie-level) Arizona League Royals (Surprise, Ariz.)...hit .274 (61-for-223) in 54 games, with one home run, 15 RBIs, 23 stolen bases and 33 runs scored...ranked third in the AZL in stolen bases...appeared in three games with the Omaha Royals of the Triple-A Pacific Coast League, hitting .500 (3-for-6) and scoring one run. Made his professional debut and spent the entire season with the (Rookie-level) Arizona League Royals-2 (Surprise, Ariz.)...hit .259 (36-for-139) in 36 games, with one home run, 11 RBIs, eight stolen bases and 26 runs scored. Selected by San Diego in the 32nd round of the First-Year Player Draft.....did not sign. January 28, 2019 2B Irving Falu assigned to Puerto Rico. November 15, 2018 2B Irving Falu assigned to Cangrejeros de Santurce. November 2, 2018 2B Irving Falu elected free agency. July 12, 2018 Irving Falu roster status changed by Syracuse Chiefs. July 6, 2018 Syracuse Chiefs placed 2B Irving Falu on the temporarily inactive list. 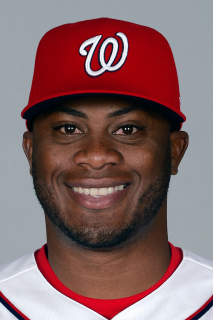 March 15, 2018 2B Irving Falu assigned to Washington Nationals. January 29, 2018 2B Irving Falu assigned to Puerto Rico. January 5, 2018 2B Irving Falu assigned to Gigantes de Carolina. November 6, 2017 Yaquis de Obregon placed 2B Irving Falu on the reserve list. October 27, 2017 Yaquis de Obregon activated 2B Irving Falu. October 23, 2017 Yaquis de Obregon placed 2B Irving Falu on the reserve list. October 4, 2017 2B Irving Falu assigned to Yaquis de Obregon. March 17, 2017 3B Irving Falu assigned to Washington Nationals. January 20, 2017 2B Irving Falu assigned to Syracuse Chiefs. January 12, 2017 Washington Nationals signed free agent 3B Irving Falu to a minor league contract. November 7, 2016 DH Irving Falu elected free agency. October 14, 2016 OF Irving Falu assigned to Gigantes de Carolina. August 27, 2016 Omaha Storm Chasers activated DH Irving Falu from the 7-day disabled list. July 28, 2016 Omaha Storm Chasers placed DH Irving Falu on the 7-day disabled list. June 5, 2016 Kansas City Royals signed free agent 3B Irving Falu to a minor league contract. June 5, 2016 3B Irving Falu assigned to Omaha Storm Chasers. June 4, 2016 3B Irving Falu elected free agency. March 4, 2016 Guerreros de Oaxaca signed free agent 3B Irving Falu. January 19, 2016 3B Irving Falu assigned to Leones del Escogido. January 2, 2016 3B Irving Falu assigned to Toros del Este. January 2, 2016 3B Irving Falu roster status changed by Toros del Este. November 6, 2015 3B Irving Falu elected free agency. October 29, 2015 3B Irving Falu assigned to Gigantes de Carolina. October 29, 2015 3B Irving Falu roster status changed by Gigantes de Carolina. May 23, 2015 Louisville Bats activated 3B Irving Falu from the temporarily inactive list. May 20, 2015 Louisville Bats placed 3B Irving Falu on the temporarily inactive list. April 7, 2015 3B Irving Falu assigned to Louisville Bats from Pensacola Blue Wahoos. December 2, 2014 3B Irving Falu assigned to Pensacola Blue Wahoos. November 24, 2014 Cincinnati Reds signed free agent 3B Irving Falu to a minor league contract and invited him to spring training. November 15, 2014 Indios de Mayaguez traded 3B Irving Falu to Gigantes de Carolina. November 3, 2014 3B Irving Falu elected free agency. October 29, 2014 3B Irving Falu assigned to Indios de Mayaguez. August 7, 2014 Milwaukee Brewers sent Irving Falu outright to Nashville Sounds. July 17, 2014 Milwaukee Brewers claimed 2B Irving Falu off waivers from San Diego Padres. July 17, 2014 Milwaukee Brewers optioned Irving Falu to Nashville Sounds. June 28, 2014 San Diego Padres activated 2B Irving Falu. June 26, 2014 San Diego Padres claimed 2B Irving Falu off waivers from Milwaukee Brewers. June 24, 2014 Nashville Sounds activated 2B Irving Falu from the temporarily inactive list. June 23, 2014 Nashville Sounds placed 2B Irving Falu on the 7-day disabled list retroactive to June 21, 2014. June 20, 2014 Nashville Sounds placed 2B Irving Falu on the temporarily inactive list. June 14, 2014 Milwaukee Brewers optioned 2B Irving Falu to Nashville Sounds. May 26, 2014 Milwaukee Brewers selected the contract of Irving Falu from Nashville Sounds. March 30, 2014 2B Irving Falu assigned to Nashville Sounds. January 29, 2014 2B Irving Falu assigned to Puerto Rico. December 4, 2013 Milwaukee Brewers signed free agent 2B Irving Falu to a minor league contract and invited him to spring training. November 25, 2013 Kansas City Royals released 3B Irving Falu. November 20, 2013 Kansas City Royals designated 3B Irving Falu for assignment. September 18, 2013 Kansas City Royals recalled 3B Irving Falu from Omaha Storm Chasers. August 12, 2013 Kansas City Royals optioned Irving Falu to Omaha Storm Chasers. August 11, 2013 Kansas City Royals recalled Irving Falu from Omaha Storm Chasers. March 27, 2013 Kansas City Royals optioned Irving Falu to Omaha Storm Chasers. November 1, 2012 2B Irving Falu assigned to Indios de Mayaguez. November 1, 2012 Irving Falu roster status changed by Indios de Mayaguez. September 16, 2012 Kansas City Royals recalled Irving Falu from Omaha Storm Chasers. July 9, 2012 Kansas City Royals optioned Irving Falu to Omaha Storm Chasers. June 20, 2012 Kansas City Royals recalled Irving Falu from Omaha Storm Chasers. June 1, 2012 Kansas City Royals optioned Irving Falu to Omaha Storm Chasers. May 3, 2012 Kansas City Royals selected the contract of Irving Falu from Omaha Storm Chasers. January 25, 2012 Kansas City Royals invited non-roster 2B Irving Falu to spring training. January 3, 2011 Kansas City Royals invited non-roster 2B Irving Falu to spring training. August 1, 2010 Irving Falu roster status changed by Omaha Royals. July 15, 2010 Omaha Royals placed SS Irving Falu on the temporarily inactive list. December 11, 2009 Kansas City Royals signed free agent 2B Irving Falu to a minor league contract and invited him to spring training. November 11, 2009 2B Irving Falu assigned to Indios de Mayaguez. September 21, 2009 Omaha Royals activated SS Irving Falu from the temporarily inactive list. August 31, 2009 Omaha Royals placed 2B Irving Falu on the temporarily inactive list. April 8, 2009 Omaha Royals signed 2B Irving Falu. June 20, 2003 Kansas City Royals signed 2B Irving Falu.